The Welsh Liberal Democrats will today claim that Labour has neglected rural Wales and a change is needed at Westminster to ensure fairness in rural areas as they launch their manifesto in Ystrad Meurig, Ceredigion, today. The document, called A fair deal for rural Wales, outlines key priorities for issues such as rural transport, conservation and housing as well as delivering change that works for farmers. Ending the Post Office closure programme. Making the planning system democratic. "Rural areas like Ceredigion and many areas across Wales have been let down by the Labour government for 13 years. Quality of life can be very high in rural Wales, but it can be very low for some people as well. "Local services, such as shops, post offices, and hospitals are under pressure and the economic downturn is affecting small businesses across Wales. Houses can be even more expensive in rural areas and farmers are getting a raw deal. "Welsh Liberal Democrats worked hard in the last Parliament on issues that are really important to rural areas, such as creating a supermarket ombudsman and campaigning against the post office closure programme and we will be a strong to voice for rural Wales for the next term of Parliament." 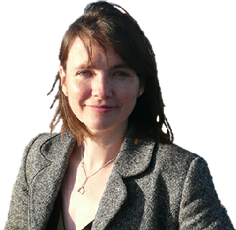 "Even though many issues concerning rural areas are devolved, Westminster still has an important role in making sure that communities in rural Wales receive the support they need and deserve. Only the Welsh Lib Dems will provide the strong voice that is so necessary. "65 years of the same economic and political strategies from the same red-blue blue-red Government have let rural Wales down the Welsh Liberal Democrats believe that a fair, green economy and a new approach to communities can deliver the changes that will not leave rural Wales behind."